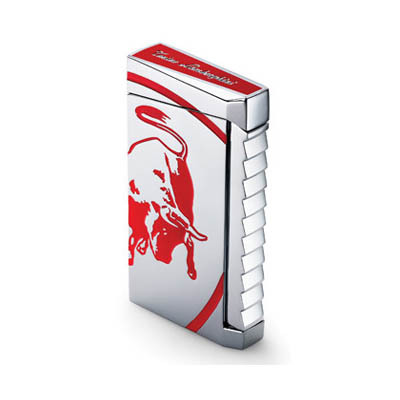 The Lamborghini IL Toro lighter features polished chrome interior with the iconic bull in lacquer. 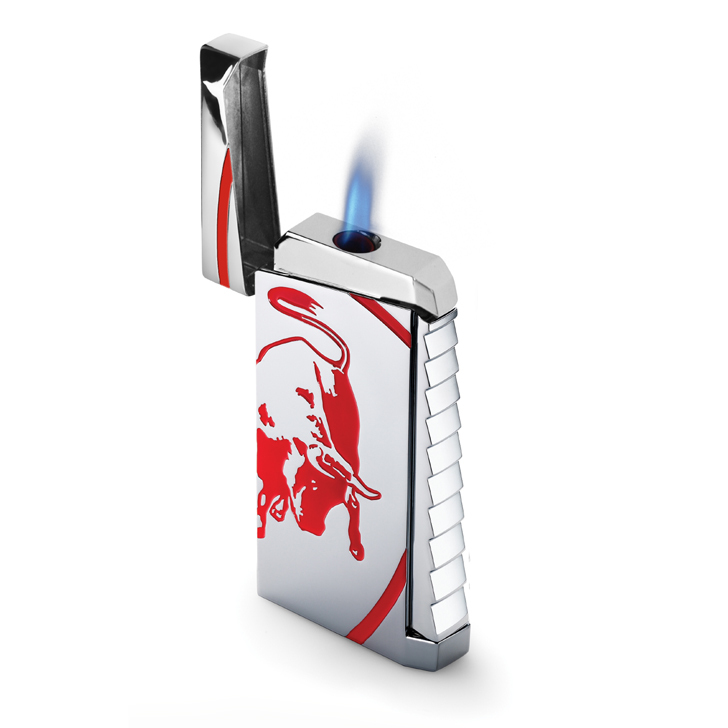 The back of the lighter is full colour black and the flip cap cover reveals a single-jet torch flame which is angled away from the cap for full accessibility. 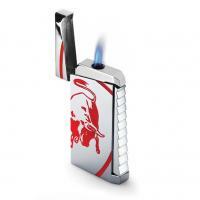 Ignition is started with a squeeze side bar ignition system.